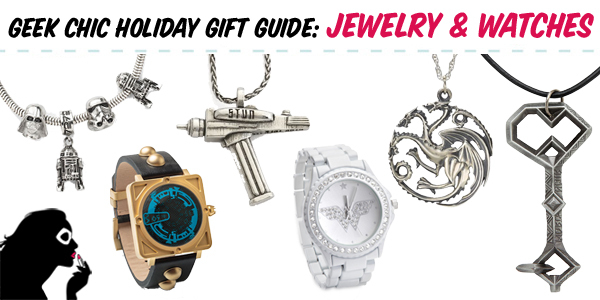 Next up in our Holiday Gift Guides are some of our favorite selections of jewelry and watches currently available. While we’re a geek fashion blog aimed at women, we’ve included some pieces that would be great for either a male or a female recipient this holiday season. Be sure to check out last year’s gift guides as well on Clothing, Jewelry, and Home/Office. Keep in mind that pieces we covered last year may no longer be available, there’s still a fair amount that are still around and worth a look!